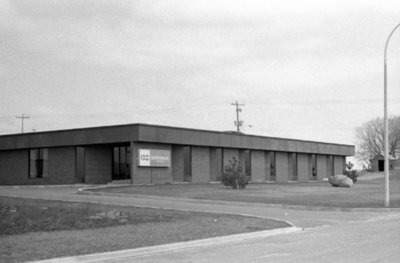 A black and white photograph of 1150 Champlain Avenue. North American Van Lines is a residential and commercial moving company. 1150 Champlain Avenue, April 1976, Brian Winter. Whitby Archives A2013_004_024A.